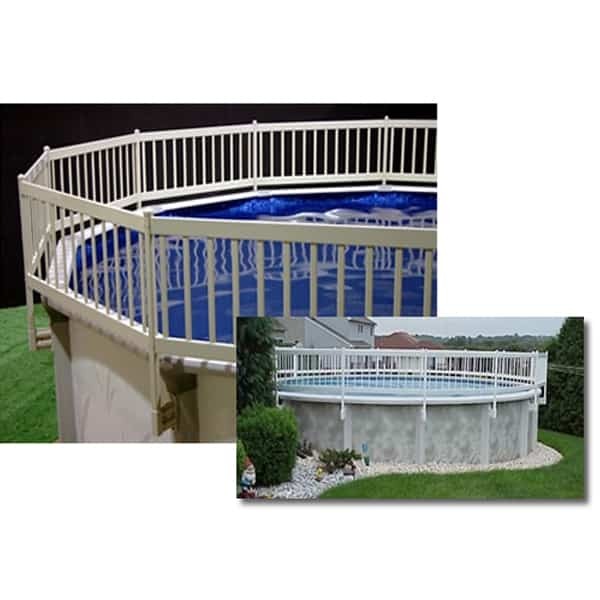 Add a fence kit to any above ground pool! brackets are engineered using a dense resin for strength and they can be adjusted to fit your particular pool. Installation is easy! To figure out how many sections of fence you will need, count how many topseats (rails) are on your pool and that is how many sections of fence you will need. One section of fence will be the distance between two of the uprights (posts). All fencing, posts, instructions and hardware is included in the kit. The warranty is 5 years.